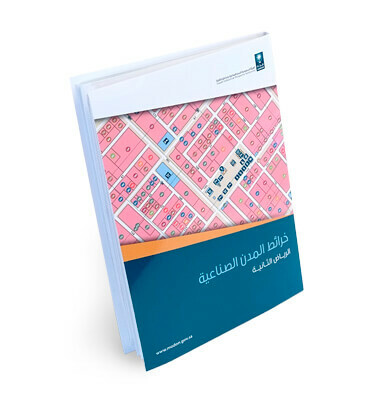 Explorer created detailed and comprehensive maps of the different industrial zones of Saudi Arabia on behalf of Saudi Industrial Property Authority, MODON. The fold-out maps were printed in A5 and mini-map size, in Arabic and English, and clearly showed each industrial plot’s activity and the owner’s name. Each map was accompanied by a separate quick-reference directory booklet, ordered by owner’s name and industrial activity.